Use this CallAction workflow to generate more business from your telemarketing efforts using a phone dialers. About 70-90% of your outbound calls will not be answered depending on your call list. The majority of the time consumers will not answer because they don't recognize the number or they are not available to actually take the call. Here is the workflow to maximize your return from your telemarketing efforts. Use a CallAction local number as the masked caller id to increase call answer rates. Here is detailed steps of the workflow. We recommend you set a dedicated number for this workflow to get detailed insights. Tip: Select a local number to display for increased engagement. Tip: If you want to distribute call backs to multiple people simultaneously, use or call broadcast tool. You can integrate CallAction with your CRM to capture the responsive leads and quickly build your database. Stay top of mind with all of your inquiries. Follow-up on all leads automatically with custom drip campaigns that match your outbound calling offer. 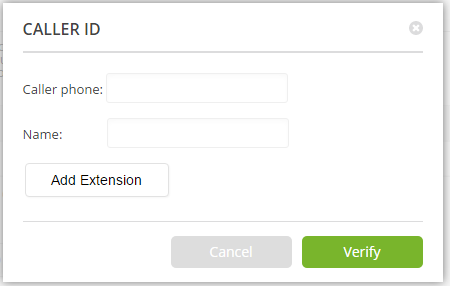 Lastly, you need to set the caller id in your outbound phone dialer. Now you are ready to maximize opportunities from your outbound efforts. You can signup for a free 14-day trial of CallAction intelligent automation.